David Faulder and his team are specialists in fitting contact lenses. Give us a call or drop in and one of our friendly and knowledgeable staff will discuss your requirements and book you an appointment. All types of lenses are available but most people opt for the 'dailies', if possible, which can be worn for a day, then thrown away. Dailies are easy to wear, easy to handle and very economical. From about £1 a day, you can wear them when and where you like. You may be surprised to discover that virtually any age group can wear lenses. From those who enjoy sports and want to be able to see the rugby or hockey ball to the person who just wants to be able to read the menu again without having to search for those elusive specs. We will take some measurements, then show you how to insert and remove the lenses. You will be surprised how simple this is after a bit of practice. We always give you free trial lenses which are included in the first consultation. Any follow up checks, whilst we are determining the correct contact lenses for you, are also completely free. This is a great system and preferred by most of our patients. We charge you only for our professional time and this allows us to supply you the contact lenses themselves at virtually cost price. It is also a good way of spreading the cost on a monthly basis. 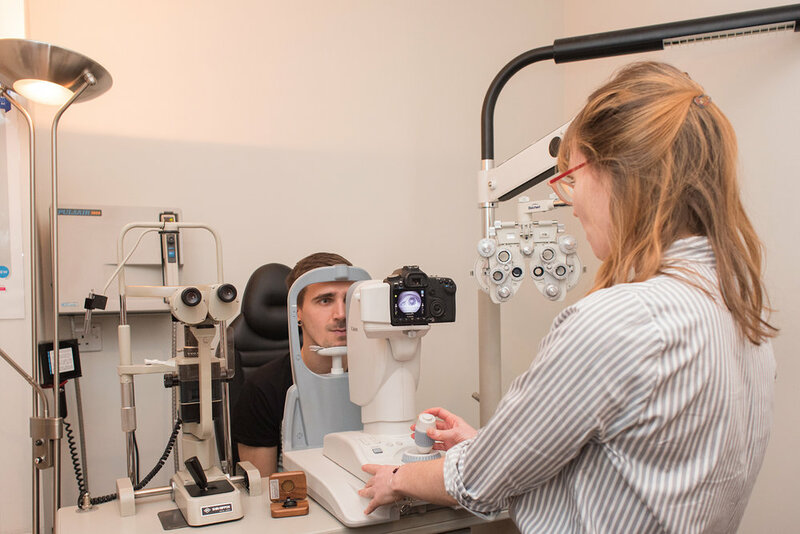 All sight tests and contact lens checks are included in this system. We will also give you a massive 25% discount off spectacles and 20% discount off sunglasses. Find out more about our Practice Plans here. That’s fine too. We just charge you for the check-ups and you buy the lenses at normal prices. All we ask is that you always allow us to supply the lenses.